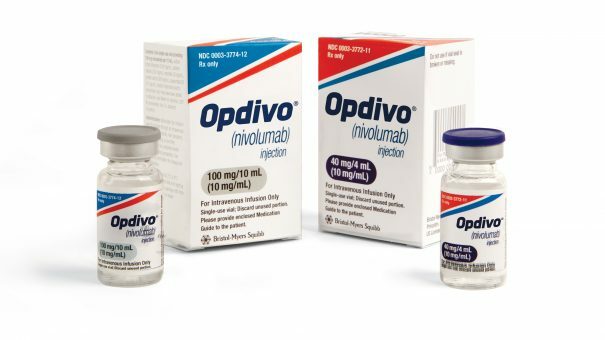 Bristol-Myers Squibb is hoping to drive forward its Opdivo cancer immunotherapy franchise by finding a better biomarker than PD-L1 – and has just produced encouraging results in a trial looking at tumour mutation burden (TMB). This is a measurement of the quantity of mutations carried by a tumour – and it is thought that cancer cells with a high TMB may have more antigens that could be targeted by cancer immunotherapies. Cancer cells with high TMB tend to have acquired, or somatic mutations, that have developed as the disease has progressed, rather than the genetic fault that caused the disease in the first place. BMS was last year famously undone by its reliance on targeting the PD-L1 biomarker, which turns-off the body’s immune response to cancer cells, when its Opdivo (nivolumab) failed in the lucrative first line non-small cell lung cancer use in a late-stage trial. Now BMS is investigating how Opdivo combined with its other immunotherapy, Yervoy (ipilimumab) performs in small cell lung cancer (SCLC), where the PD-L1 marker is not useful. BMS’ big rival has already enjoyed success by targeting a novel biomarker. In May this year, Merck & Co’s Keytruda gained approval to treat patients with unresectable or metastatic solid tumours who have the microsatellite instability-high (MSI-H) or mismatch repair deficient (dMMR). This was the first time any drug has gained approval not based on a site-specific tumour, and pointed the way ahead to more pinpoint diagnostic tests and treatment in cancer. An early-to-mid stage trial pitted Opdivo and Yervoy against previously treated small cell lung cancer, with tumours evaluable using tumour mutation burden (TMB). Cells with somatic mutations tend to express neoantigens on their surfaces that are very different from in the rest of the body and can be targeted by the immune system when primed using immunotherapies. And latest results suggest this approach has promise, after intriguing results from the phase 1/2 CheckMate -032 trial announced at the International Association for the Study of Lung Cancer (IASLC) conference in Japan. The primary objective of this trial was objective response rate (ORR) as assessed by a blinded independent central review, for which results were previously presented. In the pooled intent-to-treat (ITT) population of 401 patients, the ORR was 11% with Opdivo alone and 22% with the combination. In the ITT population, 211 (53%) patients had an evaluable TMB result for these analyses and were divided into subgroups of high, medium and low levels of TMB. Patients with high TMB who received Opdivo plus Yervoy had an ORR of 46%; the ORR was 16% and 22% in patients with medium and low levels of TMB, respectively. Patients with high TMB who received Opdivo had an ORR of 21%; the ORR was 7% and 5%, in patients with medium and low levels of TMB, respectively. In patients with high TMB who received Opdivo plus Yervoy, 62% were alive at one year; 20% and 23% of patients with medium and low levels of TMB were alive at one year, respectively. The data proved to be one of the highlights of the conference, in particular the encouraging one-year survival rates. BMS suggested it will start further trials targeting cells with high TMB as the company seeks to remain ahead of Merck’s close rival anti-PD1 drug, Keytruda (pembrolizumab), which was later to market but succeeded in the prized first-line non-small cell lung cancer (NSCLC) indication. Nick Botwood, development lead, thoracic cancers, BMS, said: “Assessing the effect of TMB on treatment outcomes has been an important part of our ongoing translational medicine research. Based on these exploratory data from CheckMate -032 in previously treated small cell lung cancer, and the growing scientific evidence for this biomarker, we continue to investigate TMB to understand its relevance as a marker to potentially predict outcomes with immunotherapy. Most oncologists believe that TMB could indeed play a big role in stratifying patients more effectively in the future. Other biomarkers, such as NTRK (Neurotrophic Tyrosine Receptor Kinases) and Gene Fusions are also being explored by researchers.